Following the popularity of the feature film ‘Suffragette’, the Houses of Parliament is running a season of Suffragette themed tours between 6 February and 6 April 2016. The Pathé UK feature film ‘Suffragette’ directed by Sarah Gavron and starring Carey Mulligan, Anne-Marie Duff and Meryl Streep, incorporates scenes shot at Westminster. Designed especially for families visiting Parliament, the afternoon begins with a one hour tour led by a Visitor Assistant through the House of Commons and the House of Lords. The tours are ideal for children aged 7 and over and are followed by a range of optional ‘Votes for Women!’-themed family activities. 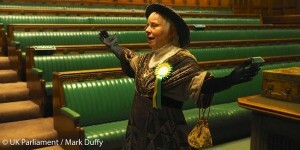 Led by a Blue Badge Guide, this 90 minute guided tour through the House of Commons and the House of Lords focuses on the journey from early petitioning for women’s suffrage through to the UK’s first (and so far) only female Prime Minister and the prominent role of women in Parliament today.